Today I am going to review a tool which is called Derma Roller System. This device can be used for skin treatment and hair treatment. Recently I’ve introduced the Derma Roller System to my skincare routine. Using 200 extremely fine medical-grade needles, the derma roller painlessly creates microchannels in your skin which trigger the body's natural healing process to create new, healthier tissue to replace the imperfections of the older skin. By renewing your skin cells regularly, you will be able to treat common problems we experience as we age such as wrinkles, skin hyperpigmentation, scars (including acne scars), uneven skin, stretch marks (usually developed after pregnancy), hair loss or it can simply be used to create smoother skin. Derma Roller System comes in a box and on the box, all the necessary information was written. Derma Roller is a small hand-held tool that has a roller at the end. The roller which is encased in a medium quality transparent plastic container. There are a collagen Vitamin E mask sheet and a leaflet which contain all the information related to the method. The roller has tiny needles on it and the needles come in 5 different sizes. Each of these needle sizes is used for treating different areas of the body. I have 1.5mm needles size roller. This needles size mainly use for Anti-Aging / Anti-Wrinkle, Cellulite, and Stretch Mark Treatment, Cell Regeneration etc. Needles are very sharp. 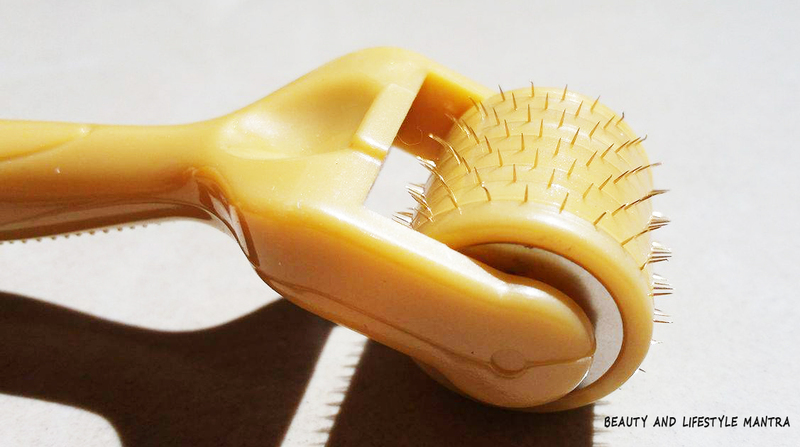 This Derma Roller is very easy to use and you need 10 to 15 minutes to complete the whole facial treatment. 1.Roll the Derma Roller gently over the area you wish to treat 4 times vertically, 4 times horizontally, 4 times diagonally to the left and 4 times diagonally to the right. This is more than enough to stimulate collagen and elastin formation in the skin. Avoid using the Derma Roller on your eyelids or lips. 2.Place one sheet of Peptide Mask on your face and leave the mask on for 10 minutes. 3.Daytime Treatment Only - If you are using the Derma Roller System in the daytime, apply sun protective cream onto the face and neck after removing the Peptide Mask. After you have finished using your Derma Roller, rinse the device under hot water. 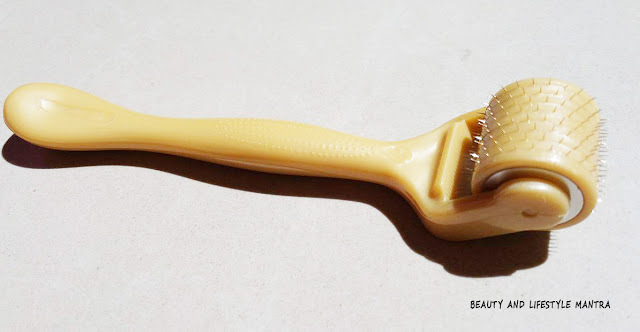 You will need to disinfect your Derma Roller once a week by standing it head first in half a glass of disinfectant (rubbing alcohol or hydrogen peroxide) for approximately 30 minutes to 1 hour (no longer). Then, remove the Derma Roller from the cup and shake off any excess liquid. 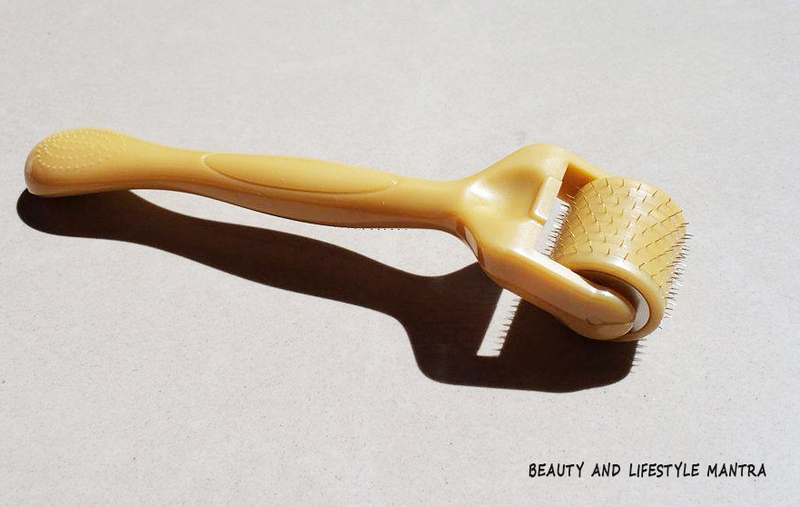 Place the Derma Roller on its side on a clean towel to dry. 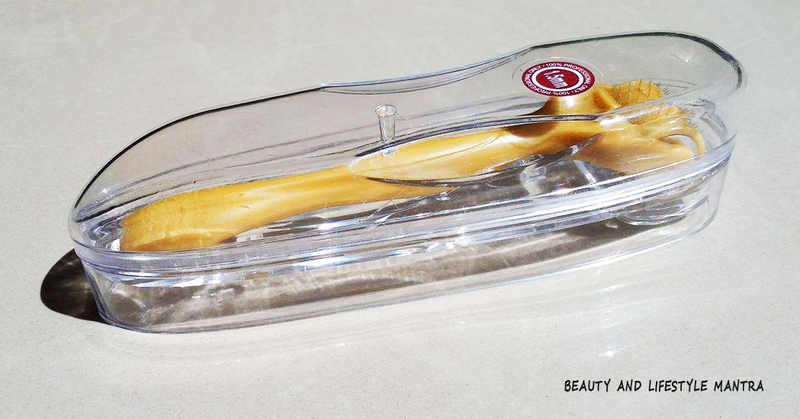 When it is completely dry, store the Derma Roller back into the original case provided. Try to keep the case as clean as possible and stored in somewhere safe. My goal was to reduce the appearance of anti-aging / anti-wrinkle and acne scars. After two weeks of use, I notice that my wrinkle and lines have begun to fade. I have also seen a reduction in the size of my scars. My skin became red during application. But after a while redness of the skin has gone away. Overall, Derma Roller System is a tool that could be used for hair treatment and skin treatment. It offers five different needle sizes ranging from .5mm to 2.5mm. I am using this device for my skin and I noticed the visible difference in my skin. But it is also true that nothing is going to work overnight. So if you want to get good results, then need to be patient. I would definitely recommend it to everyone! My suggestion is to use the Derma Roller System at night before bed. Disclaimer: The product (#dermarollersystem ) was sent by PR for consideration. The review is based on my personal experience. Seems great product. haven't tried this. will give it a try for sure. wow... this is something really amazing.. I haven't tried anything like this..
Nice detailing of the product. I never used it and was very sceptical too. But reading your review thinking to try. Love the review and amazing system which I Om accross first time. Doest it give pain? Wow. Nice review. This is so interesting! Nice! It is good because I can use it on skin as well as scalp. I have read your article, thank you for letting me know this product, I found this product very nice and convenient. any hair regrowth experiences ? Thank you very much for sharing right information about Body Derma Roller. You have explained everything which is important in for user.